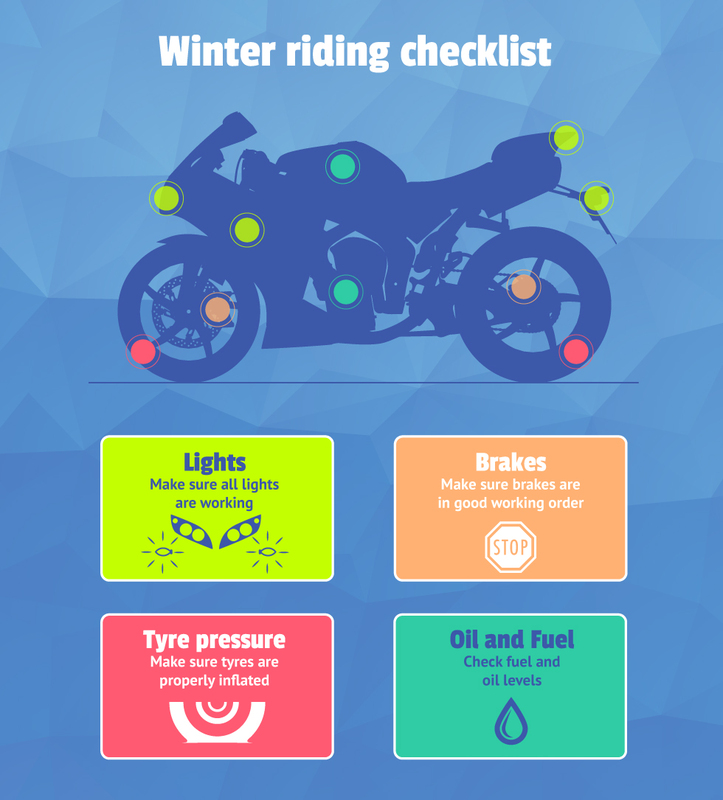 Now that winter is fully underway and the weather is noticeably colder, I wanted to raise some awareness of the importance of staying safe on the roads during winter. Some of the UK has already received snow, and many more places are being warned to expect snow and heavy rain this week. And with Road Safety Week beginning next week (21st November), there's no better time to raise some awareness! 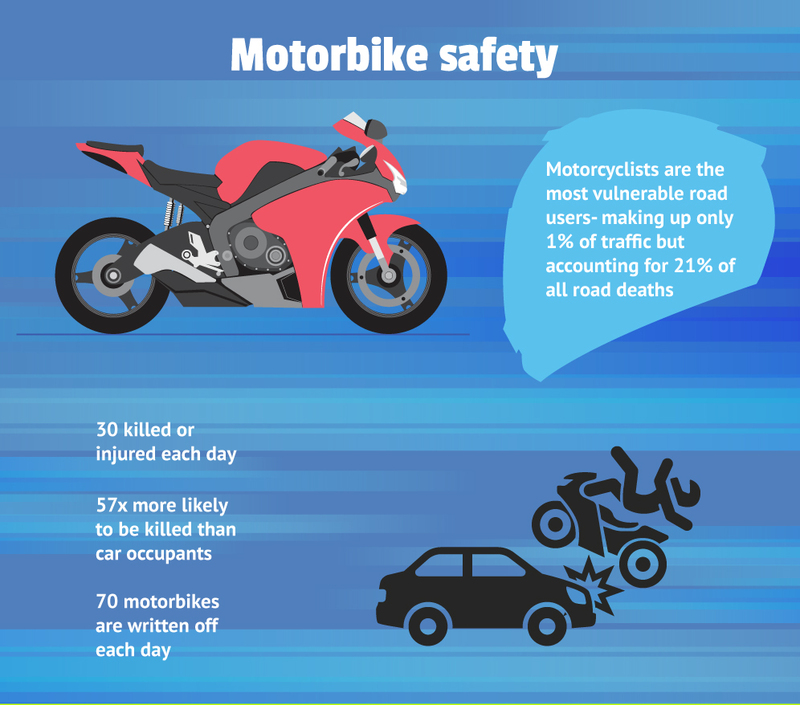 It's particularly important to take extra care on the roads if you're driving on two wheels instead of four - did you know that although motorbikes only account for 1% of traffic, they account for 21% of road deaths?! 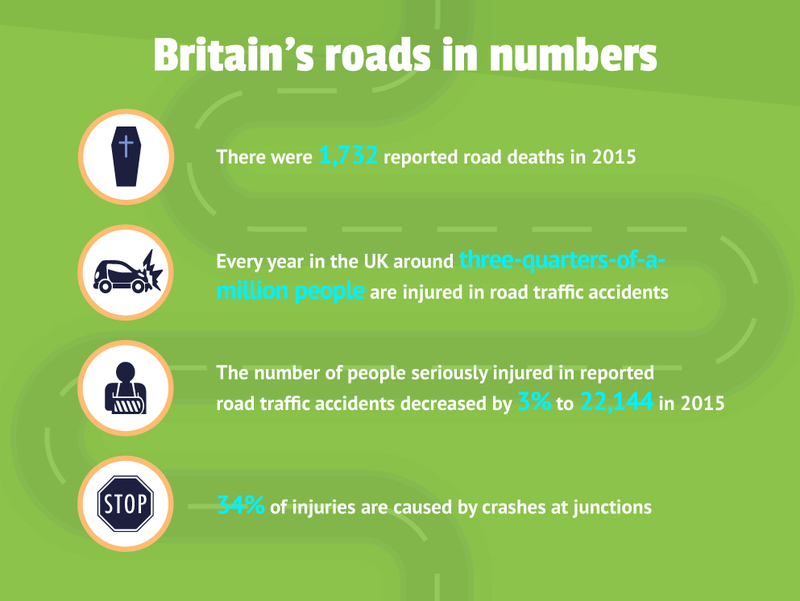 With over 1700 road deaths in the UK last year, it's important that we all take extra precautions when venturing out on the roads this winter. Slippery road surfaces and poor visibility in winter highly increases the risk of an accident happening on the roads. 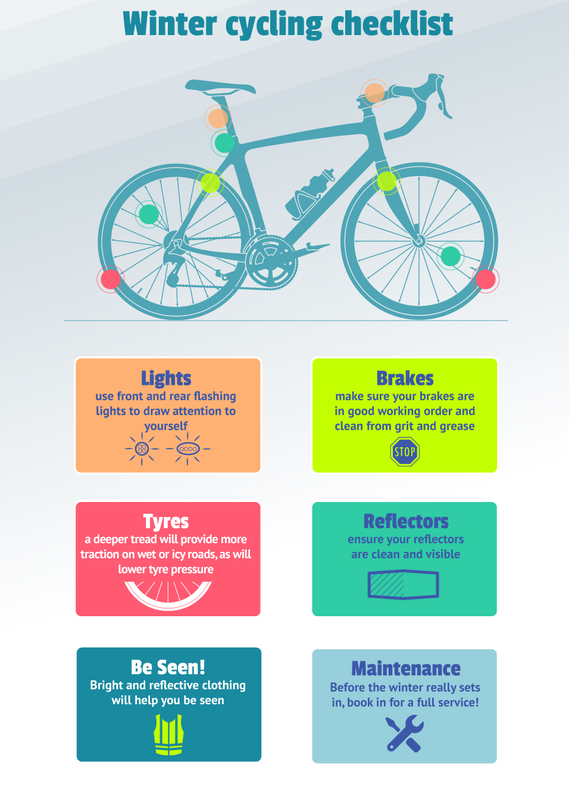 Always remember to check your tyres, brakes and lights before heading out and be sure to wear reflective clothing so that you can clearly be seen by other drivers. 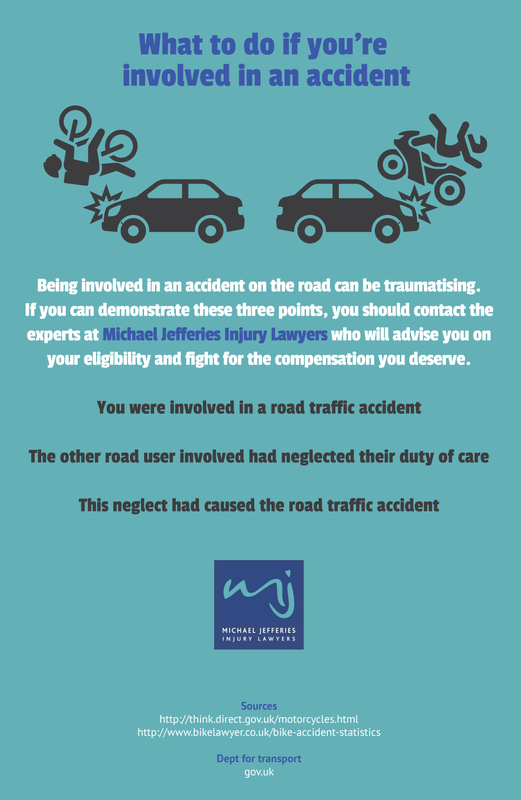 Thanks to Jefferies Solicitors for the informative infographic - please drive safely this winter! I really do wish more people would pay attention to road safety. 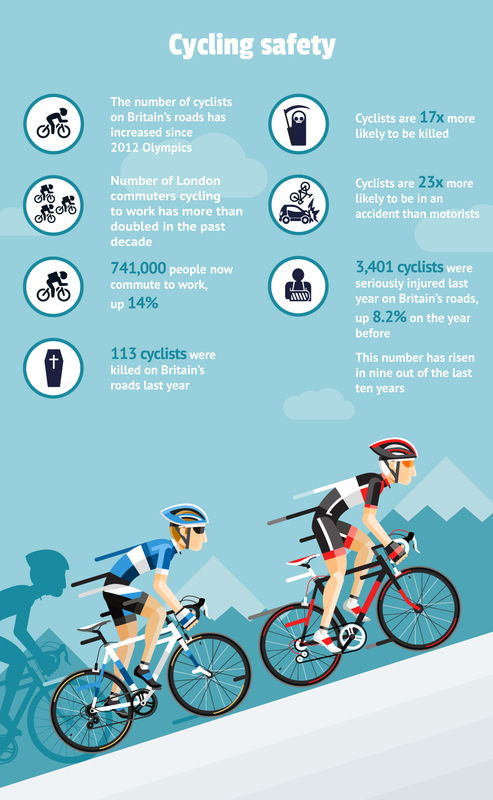 In my experience cyclists are the worst for it. As a pedestrian I've nearly been knocked over many times by them going on pavements. Red lights also do apply to them too. It is great that you are raising awareness of this. The roads are more dangerous than people think. When people get so busy, they tend to forget these reminders. Others forget that they are on the road and get distracted by their mobile phones and so on. 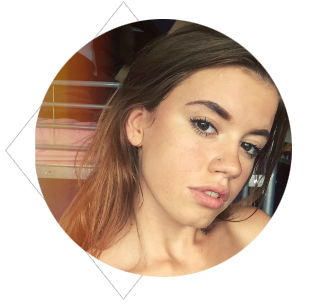 I hope people will care more about themselves and others too. 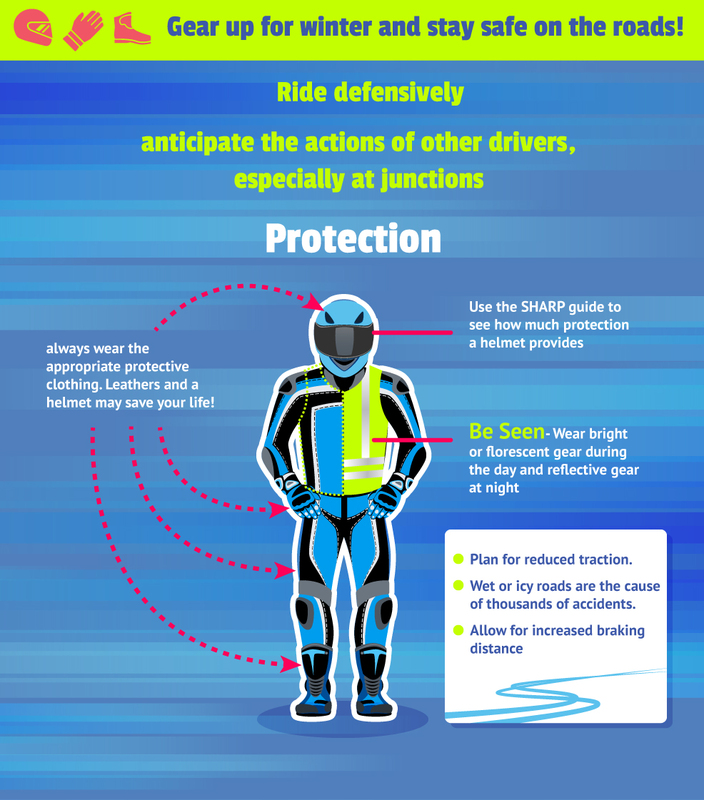 Safety should always be the top priority. The two people I know who used to ride motorbikes have both had crashes, it's the car drivers that don't see you half the time. It's terrible how little attention from drivers pay - annoys me so much! This is really helpful to raise awareness for sure! I think people forget how dangerous weather change can be! So glad you posted this! This is my first winter where I have loads of long drives (I work 40 miles away from home now) so this is good to know.